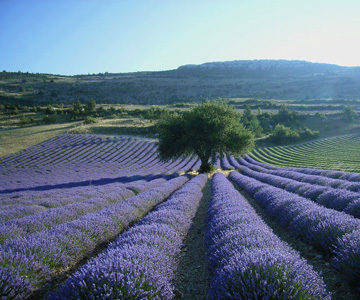 Provence: our top 3 cycling and hiking destinations, between cicadas, lavender fields and sunshine! Provence, one of the most famous French destinations has become an iconic area to enjoy your holidays, between Provençal culture, cicadas and sunshine. With many possible activities, this region is also the perfect spot to go hiking up to the hilltop villages of the Luberon, or cycling up the highest mountain of Provence, the emblematic Mont Ventoux, one of the most feared mountains of the Tour de France! 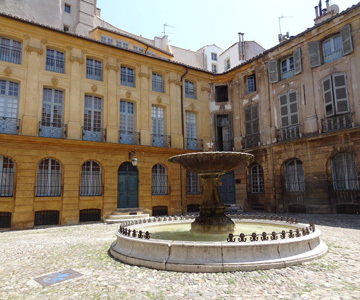 Aix-en-Provence, a beautiful town located in the heart of Provence, is a romantic and unique city thanks to its cultural sites and monuments, witnesses of the past influences that have shaped this city: from the antique Roman influence to Paul Cézanne, the city's most famous artist. Overlooked by the Sainte-Victoire mountain, the city enjoys a Mediterranean atmosphere, like the rest of Provence, where summers are hot and winters mild. Wandering through the paved streets of this city, window-shopping in the "lanes" and enjoying the unique market are truly blissful. 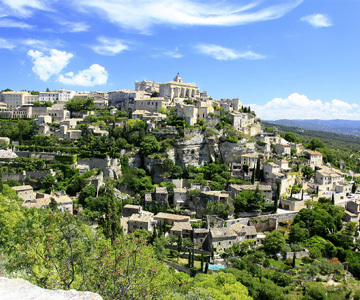 The Luberon area: the perfect destination for hikes and bike tours! The famous Luberon, where some of the most beautiful villages of France are located: between the villages of Gordes, Roussillon and Bonnieux and thanks to its unique climate, the Luberon is home to some of the most marvellous views in Provence. The Luberon is also globally famous thanks to the bloom, every summer - from mid-June to mid-July - to the most iconic flower in Provence: Lavender! Sault for example, is nicknammed the Lavender Capital! Walking or even cycling on paths in between sunflower and lavender fields surrounded by the sound of the cicadas is a one-of-a-kind experience! The Mont Ventoux, that gets its name to the Provençal word for wind explains one of the aspect on this mountain: the strong winds that blows at its summit. One of the most feared stages of the Tour de France, the Mont Ventoux, that culminated at 1909m above sea-level is a challenging mountain to hike or cycle up to! The departure from Bédoin being the hardest If you want to test your physical condition, this is the place to be! However, the views from the top of this giant is incredible: one clear days, you can even see Marseille! An all-round unique experience that will both challenge and amaze you! Do you feel that you can do the climb to the summit of the Mont Ventoux? Have a look at our CYCLING AND HIKING TOURS on the GIANT OF PROVENCE!